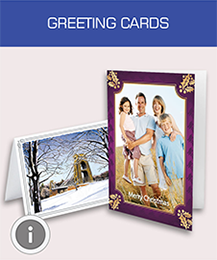 Greetings cards printed on top quality 300gsm card board and come complete with envelopes. 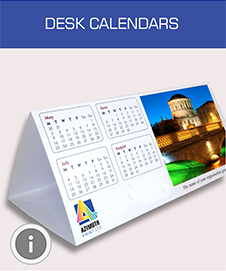 Desk calendars printed on 300gsm gloss art board. Supplied flat, simply fold twice to sit neatly on a desk. 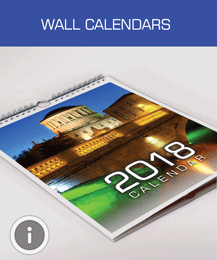 A3 or A4 wall calendars printed on 170gsm silk with a choice of black, white or silver wire hanger. 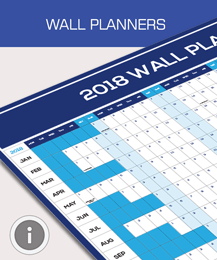 Wall planners printed in full colour on 150gsm silk on one side only. Full colour flyers printed on both sides on 300gsm gloss art board. 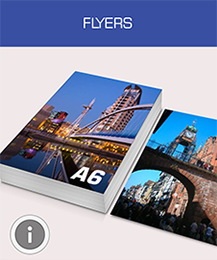 Choose from A7, A6, A5 or DL flyers. Full colour leaflets printed on 130gsm gloss art paper. Choose from A6, A5 or A4 leaflets. 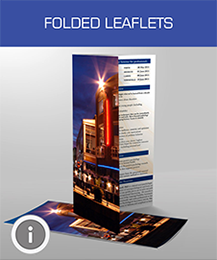 Single fold, two fold, cross fold, map fold, 8PP or 12PP DL fold leaflets printed in full colour on 130gsm gloss art paper. 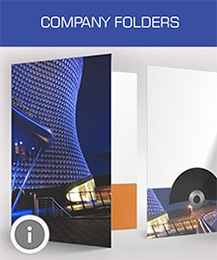 Single or double sided folders printed on 300gsm or 350gsm silk art board to hold A4 or A5 size paper. 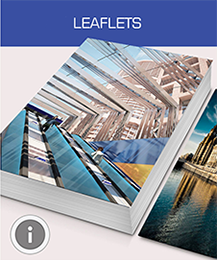 Soft (Self) cover A4, A5 or A6 brochures in portrait or landscape (excluding A4) printed on 130gsm gloss art paper. 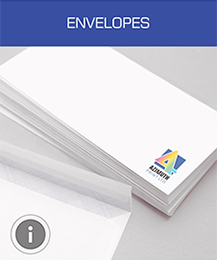 Soft (Self), heavy (board) or laminated board cover A4, A5 or A6 booklets in portrait or landscape (excluding A4). 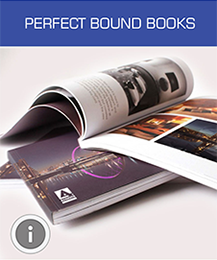 A4, A5 or A6 perfect bound books in portrait or landscape (excluding A4). 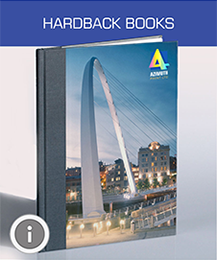 A4, A5 or A6 hardback books in portrait or landscape (excluding A4) with full colour gloss laminated cover. 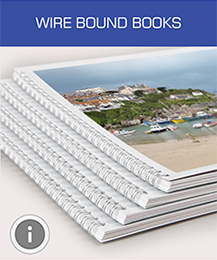 A4, A5 or A6 wire (wiro, spiral) bound books in portrait or landscape (excluding A4). 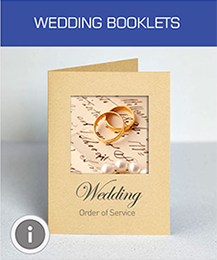 A5 4 page or 8 page wedding booklets in portrait. 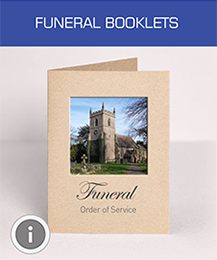 A5 4 page or 8 page funeral booklets in portrait. 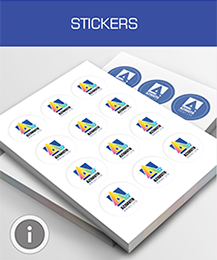 Full colour stickers printed on one side on self adhesive paper in a variety of shapes and sizes. 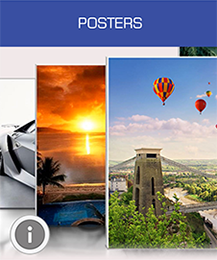 Posters in sizes ranging from A3 (420 x 297 mm), all the way up to 1,100 x 4,000 mm. 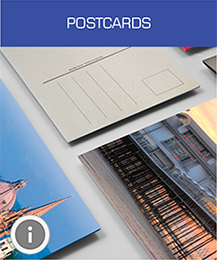 Picture postcards printed on 300gsm TruCard. Full colour one side finished with gloss laminate and black reverse. 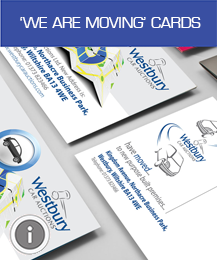 'We are moving' Cards printed on 300gsm TruCard. Full colour one side finished with gloss laminate and black reverse. 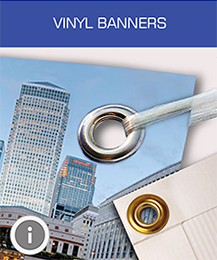 Outdoor vinyl banners printed in full colour on polyester reinforced vinyl in a range of sizes. 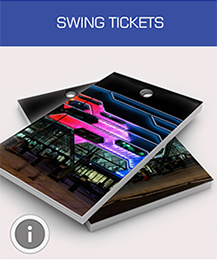 85mm x 55mm single or double sided swing tickets printed in full colour on 400gsm silk art board, drilled once. 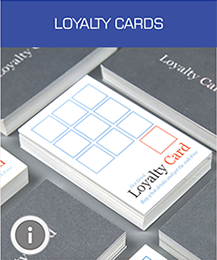 85mm x 55mm single or double sided loyalty cards printed in full colour on 400gsm silk art board. 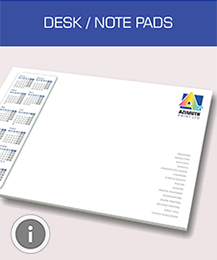 Notepads printed in full colour on 100gsm multicopy on one side with grey board base. 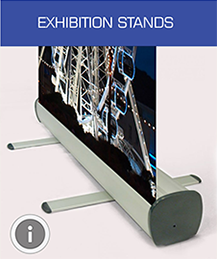 Roll-up banners size 2m high x 800mm wide, printed onto PVC Based Banner Material. 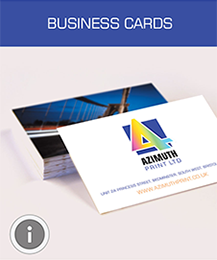 Azimuth Print the premier on-line printer offers a fast, efficient and cost effective printing service. Our products include Flyers, Leaflets, Folded leaflets (single fold, two fold, cross fold, gate fold, map fold, 8PP DL fold, 12PP DL fold), Postcards, Folders (3mm capacity, 5mm capacity, 10mm capacity, capacity interlocking, interlocking large flap, 6 page, budget), Perfect Bound Books, Wire Bound Books, Hardback Books, Booklets (soft-self cover, heavy cover, heavy laminated cover), Brochures (soft-self cover, heavy cover, heavy laminated cover), Wall Calendars, Desk Calendars and Stationery (business cards, letterheads, printed envelopes, compliment slips). All our products are eco-friendly, printed on papers and boards from sustainable certified sources. By choosing one of the eco-friendly printers like the UK's premier online printer Azimuth Print, for all your printing needs, you can show that you really care about our environment and act as a responsible citizen of the planet. It is always comforting to know that we are doing our part to protect and conserve the environment. Our pre-press, printing and finishing machinery is all very modern. Every item of equipment is duplicated to ensure continuity of production should we suffer a breakdown, we have 24 hour working Monday to Friday. Our new 12,500 square foot factory is conveniently located a stone's throw from Bristol City Centre. This expansive and pristine space allows us to offer far more extensive finishing capabilities as well as storage and stock management solutions. Our helpful sales and pre-press staff are willing to help with any technical issues should you be new to buying print or creating artwork. We train our staff to be enthusiastic and professional and regard customer service as a top priority. 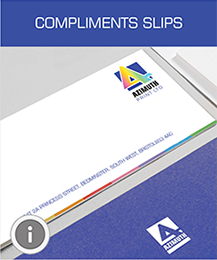 Whether you need help to design and print your first set of business stationery or are looking for new ideas on how better to promote your existing business, we are here to help. Our talented team of experienced designers and marketers will bring your ideas and concepts to 'life'. 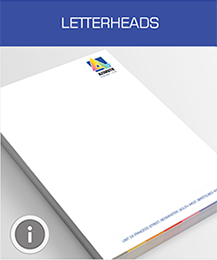 We pride ourselves on being printers who offer a personal and prompt service for all your print needs. We provide a free Online Design Service. If you do not have print ready artwork and you would like to create your own design, try our Online Design Studio. You can create your artwork from scratch or you can select one of more than a thousand templates. It's free and easy to use. 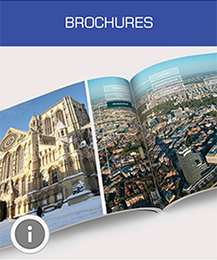 Our company has 30 years of experience in handling highly complex printing jobs. We are equally at home, catering for the needs of small businesses and individuals who have low volume printing requirements. 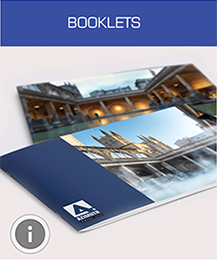 Furthermore, unlike some printers which advertise in the UK area who do their printing abroad and outsource their finishing needs; Azimuth Print carries out all of its printing at its Bristol headquarters. Our pricing is always very competitive. If you feel that you can get better value then please tell us about it see our Price Promise. Our turnaround times are the best you will find on the web and all our prices include free delivery to one UK address excluding Highland and Islands. We even offer a 12-hour service. We do not have set days for printing certain products but print on demand to meet your requirements. Our new print works is situated in Bedminster, Bristol and within easy reach of Bath, Gloucester, Cheltenham, Taunton and Swindon. We are less than two hours drive from London, Birmingham, Coventry, Leicester and Plymouth. Always consistently high quality printing of text with good rendition go colour images. Speedy service at a good price from a U.K. based company. Helpful advice when requested and constant attention to detail. I have used before and will use again. Swift and efficient. Good customer service.